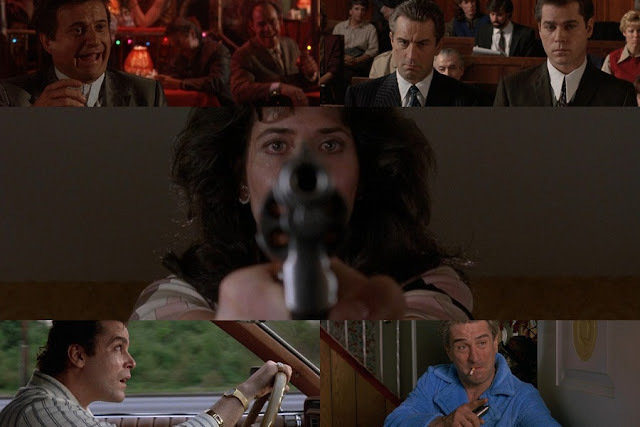 Cinematic Paradox: Scorsese's 70th Birthday, and How Much I Love Goodfellas. Scorsese's 70th Birthday, and How Much I Love Goodfellas. Today is Martin Scorsese's 70th birthday - again highlighting how in the past two weeks November has come to be the best month for birthdays. I would be doing my usual "best of" list here, but the truth is, I haven't seen all that many of his films. 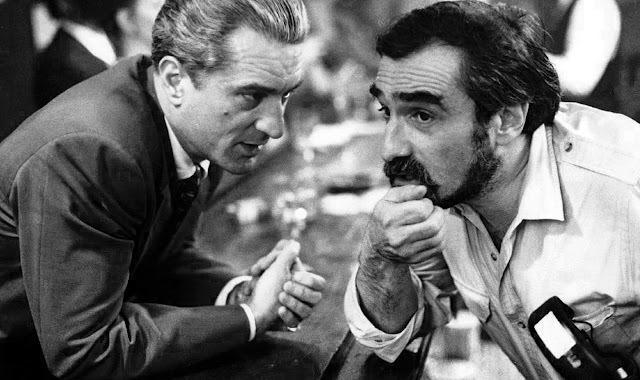 I did love Hugo, Shutter Island, The Departed, The Aviator, Raging Bull and Taxi Driver, but one film of his sticks out in my mind more than any other: Goodfellas. Goodfellas wasn't a film which I loved right from the very beginning. I first saw it around three months ago, and I felt a little underwhelmed by how long it was. However, I managed to buy the Blu-Ray a couple of weeks back and I gave it another spin, which gave the film a whole new lease on life. If there's any film that shows Scorsese's distinctive style, or any film that future film-lovers should opt for first when getting their dose of Scorsese, it is Goodfellas. Goodfellas follows the mostly true story of gangster Henry Hill (played by Ray Liotta), who works his way into the mob from an early age, and once he's old enough, the mob moves its way to the top. That's the basic premise of the film, as it isn't a film that aims to please via a narrative. It is a film that gives an insight into the lives and crimes of a group of mobsters through the looking glass of their rise and fall. To be honest, with Martin Scorsese behind the lens, this movie could have just had those mobsters reading out the telephone book. Scorsese was obviously influenced by the French New Wave, and following my month of New Wave in June, I have a newfound appreciation for still frames, voice overs and jump cuts. And this movie is filled with them. I think that's why I find the film most exciting - this French New Wave style gives the film an unprecedented amount of energy that keeps it bouncing along. Right from the beginning, where we are greeted with a freeze frame and Henry Hill's thick Brooklyn accent saying "For as long as I can remember I always wanted to be a gangster. To me that was better than being president of the United States. To be a gangster was to own the world." And that is probably the best way I could think of opening a film like this. The film is bloody and disturbing, with plenty of swear words hurled around without a care in the world, which is just what Scorsese does best (as much as I love Hugo, I don't suggest that he keeps on making 'nice' films). The characters are all very colourful. Even if they're headlined by Ray Liotta, who I have this huge aversion to because his face makes me uncomfortable. He still pulls in a very good performance, but I can't say that I left the film feeling any better about old Liotta. However, the other two headlining stars were Robert DeNiro and Joe Pesci, who were both fantastic. 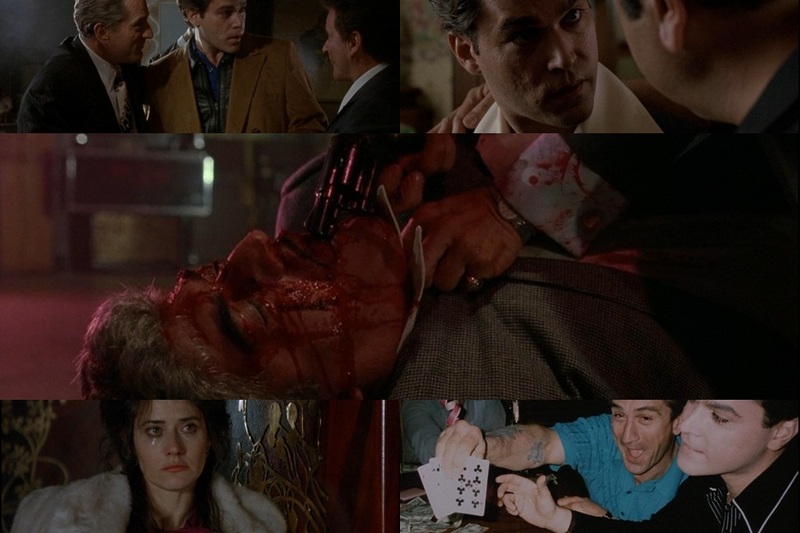 De Niro plays Jimmy Conway, who definitely has a violent streak about him, and Pesci plays Tommy DeVito who takes that violent streak and spins it out of control. They're both extremely impressive, and the dynamics between them and Hill are really interesting to watch, as they are three different men grasping on to the glamour of mob life. Plus, there's Lorraine Bracco, who adds another dynamic to the film as Henry's long-suffering mob wife Karen. That scene where she points a gun at Henry was just fantastic. Goodfellas is filled with great moments, like when the camera tracks Henry and Karen as they walk through the back of a restaurant to get in. And when Pesci does that "funny how?" scene. And when Henry directly addresses the audience to tell the final part of his tale. And when he actually ends the movie by saying he's "an average nobody...get to live the rest of my life like a schnook." And a whole raft of other moments that I could write a book about. Goodfellas is kind of the epitome of everything I like about films (apart from maybe Ray Liotta, but exceptions can be made for something this good). That's because Martin Scorsese, born on this day in 1942, was behind it and just made it so mother-effing awesome. Man, I have not seen this movie in a long time. Need to re-watch it soon. It does get better on a rewatch! It is insanely good. Goodfellas. A true classic. My favorite scene is where Henry and Paul Cicero are in prison yet live a nice life where Cicero is cutting the garlic with a razor very thinly. It's my third favorite Scorsese film. Raging Bull is my favorite with Taxi Driver in second. 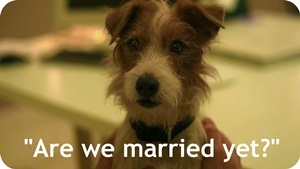 Haha, I love that scene too. So funny. I adore those two as well. They're just behind this one. Love Goodfellas, and I've only seen it once. I really need to rewatch it. It is so good, isn't it?